MOSTYN, Wales’ foremost contemporary art gallery, is delighted to announce a new season of exhibitions. 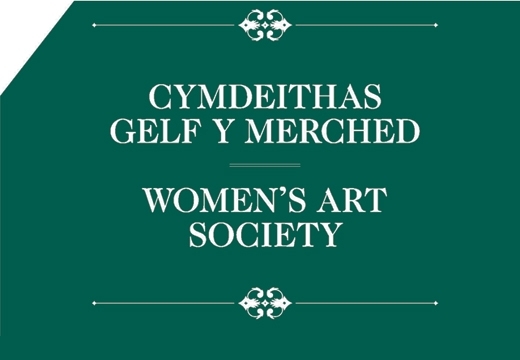 Women’s Art Society is the first exhibition in a series of exhibitions at MOSTYN taking place between 2013 and 2017. Each exhibition in the series will examine the history of MOSTYN and its building, and how that history is tied to events beyond its context locally, nationally and internationally. This first exhibition reaches back to the inauguration of MOSTYN. Opened in 1902, the Mostyn Art Gallery was commissioned by Lady Augusta Mostyn and built to showcase the work of the Gwynedd Ladies’ Art Society, who were denied membership of male-dominated local art societies on the basis of their gender. Women’s Art Society presents artefacts, documentation and artwork from the orginal Ladies Art Society, together with artworks by contemporary artists. These artworks are linked to the history of the original society by the way in which they examine the politics of gender, identity and regulation, and aspects of exclusion and prejudice—issues that confronted the Society and were vital in its formation. Updating the spirit of the original Ladies’ Art Society and looking at it anew, the intent is to present and discuss the history of MOSTYN and its building, while bridging the divide between past and present. The exhibition is displayed in galleries 2 & 3 and is curated by MOSTYN’s Visual Arts Programme Curator Adam Carr and organised and produced by MOSTYN. This exhibition is the first for Nina Beier in a UK public institution, and one of the most comprehensive exhibitions dedicated to her work to date. Beier’s practice is perhaps best characterised by its conceptual orientation and its rigorous investigation of the object and exhibition of art itself as well as its attention to form and context. Aspects of art production and ideas of display, value and ownership, and the manner in which these are perceived and received, are amplified and subverted in many of her diverse works. The performance of objects and materials, how they change through time or alter according to context and presentation and their potential to appear contradictory are crucial and recurring themes in Beier’s work. This exhibition, in MOSTYN galleries 4 & 5, brings together both existing works and new commissions. The exhibition is supported by the Danish Arts Council Committee for International Visual Arts. Rees’ starting point for Kelp is his own love of laverbread, which he regularly has sent from Wales to his studio in Berlin. This approach to national identity and Wales’ heritage is entirely characteristic of Rees’ other works, which have regularly drawn from the particularities of his upbringing, his background and his place of birth. Through a number of different approaches—among them packaging design, photography, sculpture and satirical cartoons—Kelp sees Wales’ trade of seaweed and laverbread rethought and reconsidered, and appealing to the modern-day consumer. This exhibition is displayed in Gallery 1. This exhibition is organised in partnership with Amgueddfa Cymru – National Museum Wales and supported by the Colwinston Charitable Trust. Gallery 6 is a new initiative at MOSTYN housed in its upper level. It is dedicated to presenting the work of young and emerging artists, all of whom are yet to have a solo exhibition in an institutional setting—nationally or internationally. The Gallery 6 space and its associated programme, titled Uprisings, provide the opportunity for an artist to work under professional conditions, and to present their work to a larger audience. It will bring to MOSTYN a diverse range of artists, at the very forefront of contemporary art practice, from both home and away. Four Uprisings will occur each year. This, the third of 2013, is by John Henry Newton. Gallery 6 would not be possible without the generous support of Esmée Fairbairn Foundation. MOSTYN in Llandudno, North Wales (UK) is the leading, publicly funded, contemporary art gallery in Wales and serves as a forum for the presentation and discussion of contemporary life through international contemporary art and curatorial practice. Through exhibitions, learning programme, lectures, symposia and publications, MOSTYN plays an active role in discussing contemporary culture in Wales, the UK and beyond. To be kept up to date with MOSTYN’s new programme, please subscribe to our mailing list by emailing lin@mostyn.org.